Welcome to July! This means that the first half of the year is officially over and now it is downhill to holidays and family and friends and good times. I am getting ahead of myself aren’t I? 😉 Let me show you this weeks picks for Tuesday Stamping. Remember, next week will be the second instalment of My 5 favourites for the next 15 weeks of Tuesday Stamping. This is another one I knew stamped well. It was one of the reasons I bought it at the time. It shows up perfectly on the black and the white and stamps with crisp clean lines. Unless you smudge it like I did on my index. My only ‘complaint’ about Adore and stamping is that it seems to appear a different colour. In the bottle, Adore is very obviously blue. Once I stamped with it it appeared more green. This was much more apparent when I stamped on blue (something I will show you at a later stage). It is minor really but worth a mention. When I swatched this collection here, I knew that I would have to try them really soon for stamping. I was so happy to see many comments on that post confirming it. I chose 2 today (these specific 2 at the request of acidicice) In the post I mentioned that Liquid envy was the least opaque of all and I wasn’t sure how that would translate to stamping. Starting with the white, you can see it shows up well. The lines are clean and crisp with just a tiny bit of patching at the edges. I am willing to say this is user error. On the black though, I don’t think it shows up so well. I don’t think the green shows up very well, even though the stamping is visible. This is definitely one I would use again, but I think it would have to be on a lighter base. 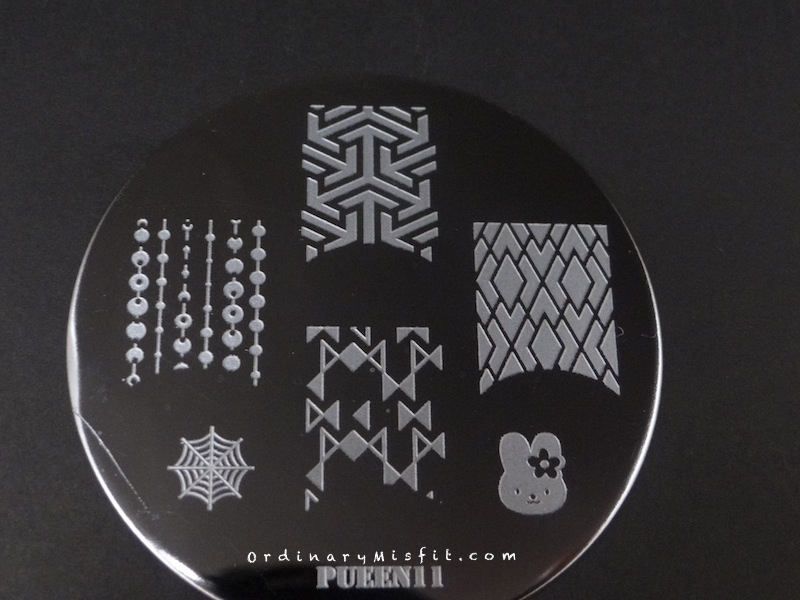 If you look at the stamping on the black here you can see what I mean compared to Liquid envy. On the black, I can still see the colour of the polish, so it shows up really well. It also shows up really well on the white. The lines are crisp and clean. I can see a little bit of patching on my ring finger near the tip. I was trying out a different stamping method and this might be the reason. Considering the rest looks really well I think it is user error. This one is definitely a favourite. You’re on the ball. Thanks so much Kerry! 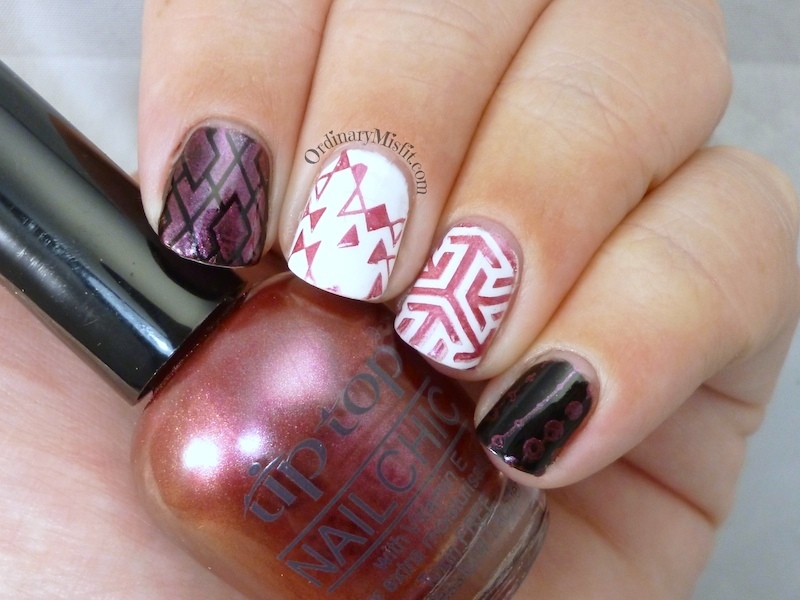 Volcanic Eruption is a wowee for stamping! I have googly eyes for your pinky with Adore and your index with Harp On It. Volcanic Eruption looks good, too!